Did you hear the joke about the Sabres getting shut out? Oh, I guess you have. Three times in the same week. The Sabres journeyed to a place where no Buffalo NHL hockey team has gone before on Friday night. They lost their third straight game via a shutout, dropping a 4-0 decision. The 19,070 in attendance – at least the ones not wearing Sidney Crosby shirts – booed the team with gusto for its performance in this game and in this week. The Sabres haven’t scored a goal in 180 minutes and 51 seconds. That particular record isn’t kept by the team any more. Even without that backing historical mark to use as evidence, there is no doubt that Buffalo is setting new franchise standards for offensive ineptitude. This latest loss got away from the Sabres relatively quickly. Within the first four minutes, Victor Antipin mishandled a puck on the Pittsburgh blueline. Tom Kuhnhackl went around him for a breakaway, and was given a hook while putting a weak shot on goal. A penalty shot was called, and Kuhnhackl buried his second chance at skating in alone on Robin Lehner. About three minutes later, Rasmus Ristolainen made a play that may cost him some sleep in the near future. He handed the puck to Crosby right in the slot in front of Lehner. Crosby does enough damage to scoreboards through his talent; he doesn’t need any help. But the gift goal made it 2-0 before seven minutes had elapsed. The period was almost over when Jake Guentzel went to work. He came down left wing, skated swiftly around the Buffalo net, and tucked the puck into the net on the wraparound. Considering the way the Sabres have been scoring, the lead felt like it was 10 goals. “The little things turned into big things,” Ryan O’Reilly said. The final 40 minutes felt like, to use an NBA term, garbage time – when little was going to change the final outcome. Buffalo had a few scoring chances, but couldn’t solve Penguins backup goalie Tristan Jarry. Patric Hornqvist capped the scoring late in the second period when he was left alone in the slot during a Pittsburgh flurry. 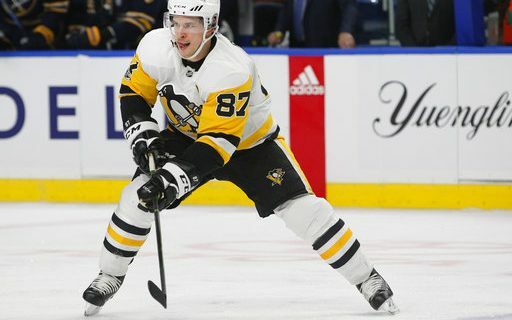 It was a solid performance by the Penguins defense, which seemed to be in perfect position whenever Jarry looked a little wobbly. The Sabre players who did speak to the media after the game seemed more filled with resignation than just anger. The team is 1-8-2 in its last 11 games, and the evidence is growing that this is not just a team in a slump. It’s a team that’s not good enough to compete with most of its opponents on a nightly basis, and may not be for the foreseeable future. The Sabres start a four-game road swing Saturday night in Pittsburgh.